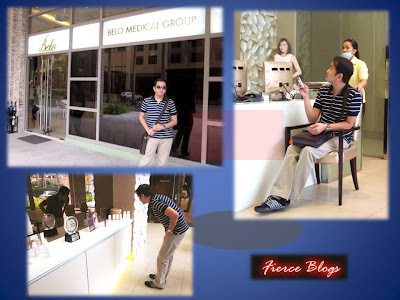 Fierce Blogs: Fierce Blogs Had A Belo Day Today! 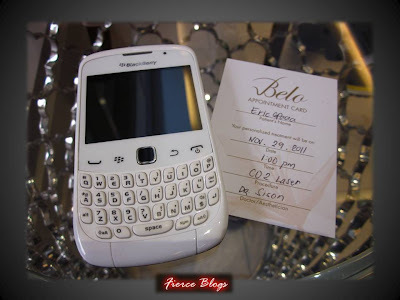 Fierce Blogs Had A Belo Day Today! I barely slept last night due to tons of things I had to do for work. This inevitable circumstance, however, will not hinder me from arriving on time for my Belo appointment at 11:30 am the next day. Frantically, I left my place 30 minutes before my appointment! I can't be late for Belo! This is what my head was screaming to me. 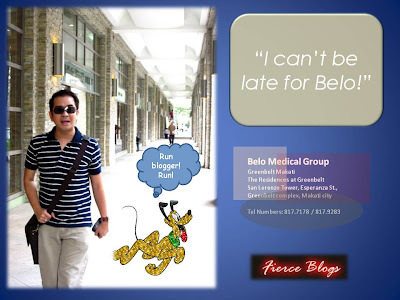 The Fierce Blogger is never late and should not be late! Luckily, I made it on time! In fact, I have 5 minutes to spare and a moment to pose for the camera. ﻿If you happen to be curious why I am excited to have my Belo treatment today, that is because it's my first time to try the Obagi Oxygen Facial; which by the way is one of the favorite treatments of Zsazsa Padilla (you can read article here). Just the other day, I was intensely researching on this procedure and found out a lot of benefits. In essence, Obagi Oxygen Facial improves the overall texture and quality of the skin. The oxygen therapy uses the latest biotechnology and is scientifically proven to eliminate skin redness, irritation mostly caused by bacteria. 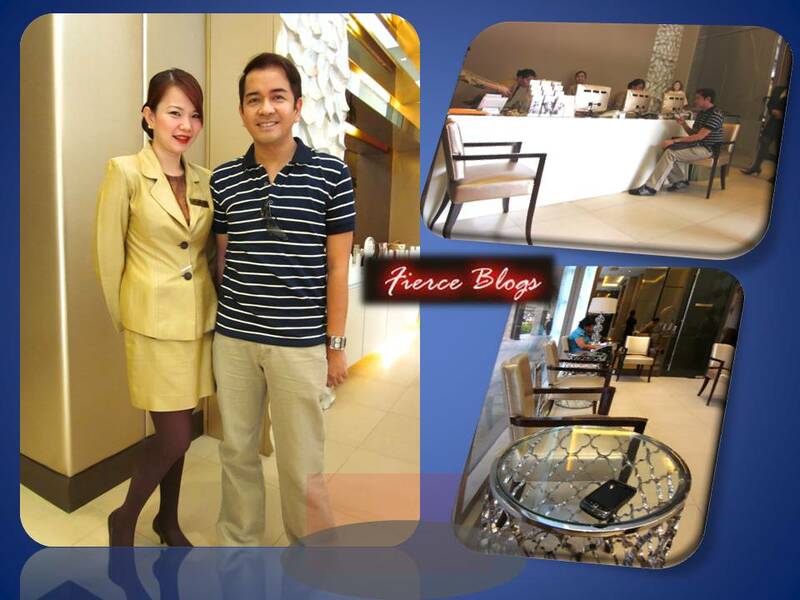 At exactly 11:30 am (I just appreciate how Belo Med respects the time of their customers), I was assisted by Arianne from reception. What can I say, the lady is a natural charmer and very accommodating. After a series of short questions from Arianne, I was ushered to meet Dr. Sison inside the private room. She meticulously examined my skin, starting from my forehead down to my neck then gave her medical findings. I have always thought that I have dry skin. But according to Dr Sison my T-Zone is oily while the cheek part tends to be on the dry side. While she logs notes to my personal Belo folder, she asked what facial products I use. ZO SKIN HEALTH by Zein Obagi - Offects Exfoliating Cleanser (twice a day, morning and before bed time). Dramatically Different Moisturizer by Clinique (Application is every night after cleansing). Sun Experts by Belo Essentials (daily before leaving for work). During the consultation,I also raised the reddish bump on my right lower cheek. According to Dr. Sison this bump is due to having an oily skin. Nothing serious and can be easily removed. Whew! I was really relieved to her her voice saying, "Nothing to worry about." I had my usual comforting facial cleaning this afternoon. No complains since the facial attendant (Rexy) was so careful and cautious enough for me not to feel any sort of discomfort due to pain. 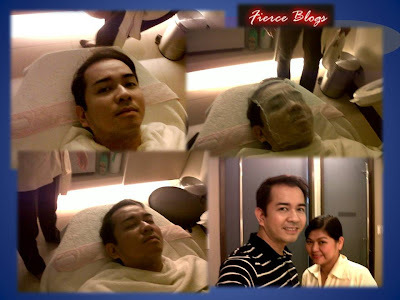 What was done after the facial cleaning is something I want to share to my readers. My whole face, neck and upper back were treated to a very relaxing massage. This massage is carried out to promote better blood circulation necessary for the skin. I didn't relax, instead a took a nap! I bet I was snoring! A cold mist was pumped all over my face and neck. This must be the Obagi Oxygen, I told myself. And I was right! I left the private room really feeling fresh and new! 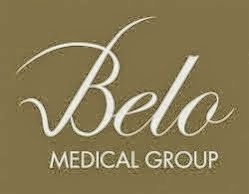 I really can't wait for my next appoitment with Belo Med. To all Fierce Blogs readers, you should try Obagi Oxygen Facial at Belo Med. The procedure costs around Php3,000 (plus) and this already includes facial cleaning, massage, vitamins C, A and Zinc and Obagi Oxygen pump that would make tired and droopy face come to life! 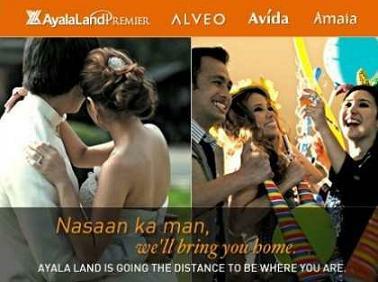 If you want to try this procedure, just call 819.BELO (2356) for Philippines and +310.742.4843 International. To Belo Medical Group, thanks for having Fierce Blogs! All photos were taken by Jason Abrera. I want to try this! How long is the process? I'm visiting Manila next month for the Holidays! Maganda nga daw ito. Masubukan nga minsan. Kaya kaya nya mukha ko? Would you know how much is their regulat facial? May Cortez - Ilang minutes yung actual procedure ng Oxygen spray? I mean not including the cleaning and massage? Thanks for reading guys! You can visit their website to get more details? I indicated it in the blog! what happened to the worm towel? obagi oxygen facial doesn't include cleaning (extraction of whiteheads and blackheads)you have to pay additional price for regular cleaning. nothing special here it's just pure oxygen with obagi medicine. i recommend powerpeel for immediate result. Thank You From Fierce Blogs! A Reader Asks For My Used Underwear!